Every agent at Berkshire Hathaway HomeServices Northwest Real Estate has a fully interactive website and a Lead Generation System. We help you market yourself and generate leads! Everyone you know and everyone you meet becomes part of your Sphere. These are the people you will stay in touch with and who will send you referrals. Your website is their main point of contact with you. Our AutoSphere tools allow you to automatically stay in touch with your Sphere. Enter them into the system once and your Sphere will receive valuable reports and newsletters every month forever, generating a contact stream of business to you. One click and your clients connect to you through your website. 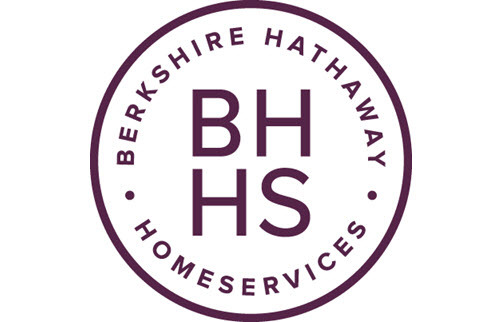 Our professional Berkshire Hathaway HomeServices Northwest arrives each month with fresh, valuable information making you a valuable resource. Your website is one click away, connecting your clients to you. Our company was one of the very first to offer every agent and office an individually branded real estate search app which can easily be shared with consumers. This app is provided at no cost to real estate agents or consumers and is available for both Apple and Android platforms. We give you free bulk mail postage every month, encouraging you to mail to your Sphere of Influence and targeted "farm" areas. In addition, we have pre-printed postcards available and a unique "Agent Services" program to assist you in creating your direct mail marketing campaigns. Everything from the Berkshire Hathaway HomeServices sign posted in front of your listing, to the multiple internet sites marketing your property, are direct leads sent back to your website so the public can easily contact you and learn more about your inventory of properties for sale. Over 92% of the general public begin their home search on the Internet. Your website, branded with your information, connects the public to a one-click, easy-to-use search bar that is fed directly from our Northwest Multiple Listing Service. Your website is their resource for their new home! Your clients will be automatically emailed every time a listed property fits within their search criteria. Clients can save favorites, revise criteria, create multiple searches, view detailed information and research property history. They can quickly connect to you for questions and to set up viewing appointments. As smart devices are quickly dominating the mobile world, your tech-savvy clients can use custom Q.R. Codes to link to your personal website. In addition, your website is mobile-optimized to be used on any mobile device. Every internet lead you receive is pointed back to your personal website, ensuring customer loyalty and rentention. Once that client is added to your website contact database, they are captured as your exclusive client. On the front page of your personal website, you can add quick links to your Social Media sites including Facebook, Twitter and LinkedIn. From these sites, you can advertise your website and new listings as they become available. Creating short videos to be hosted on your YouTube Channel directs the public to you as their real estate expert. From your YouTube Channel, you can customize the profile to include your web address direct clients back to your fully interactive website. Blogging is another way for you to inform the public of your services. You can create and maintain your blog directly from your website and you can even post an attactive "Call Out" button from your home page. When people reach your blog they are within your website for easy connection with you!